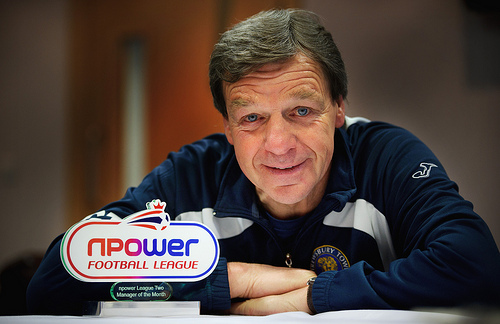 Graham Turner, manager of League One side Shrewsbury Town, is the latest football league manager to back Show Racism the Red Card. Turner, who has previously managed Aston Villa and Wolverhampton Wonderers, wrote to us recently saying: "I would be delighted to add my weight to the campaign." Graham won promotion with the Blues last year and made more than 600 football league appearances before ending his professional career whilst playing for Shrewsbury in 1983.